China’s secret mass detainment of an estimated 1 million Uighur Muslims came to the world’s attention this August when Gay McDougall announced that the U.N. Committee on the Elimination of Racial Discrimination possessed credible reports of “political camps for indoctrination” in the northwestern territory of Xinjiang. At the time, Chinese leadership questioned the number of detainees cited by McDougall, senior fellow and distinguished scholar in residence at the Center on Race, Law & Justice, but did not deny the existence of such camps or provide evidence refuting the number of people imprisoned.Earlier this month, a senior official in Xinjiang confirmed the existence of such camps, describing them as “training” and “boarding schools” for Muslim minorities that additionally supplied them with “de-extremization education.” In reality, these camps represent “a revival of Maoist practices” and a major breakdown in core, post-1978 reform-era norms that allowed for a degree of space for religious faith and personal autonomy in China’s one-party system, said Fordham Law Professor Carl Minzner, an expert on Chinese governance and author of End of an Era: How China’s Authoritarian Revival is Undermining Its Rise. Xinjiang, with its large minority population of around 10 million Uighurs, has been the site of increasing tensions over the past two decades as scores of Han Chinese, the country’s majority group, have moved into the territory. 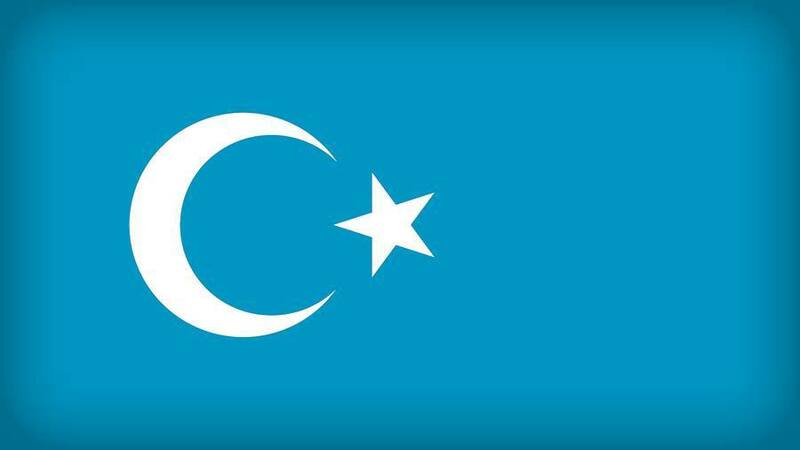 Uighur concerns over their culture being submerged coupled with Beijing’s harsh one-party authoritarian controls have sparked sporadic violence, which in turn has raised Beijing’s fears of Islamic radicalization. Citing terrorism fears, China has undertaken its largest use of extralegal detention since the Cultural Revolution, jailing an estimated 10 percent of the Uighur population in Xinjiang for unspecified reasons and indeterminate time periods. “Increasingly this looks like a concerted effort to drive Uighur ethnicity and religious identity out of the public sphere entirely, if not eradicate it totally,” Minzner said. The broad-based classification of Uighurs as suspicious raises serious questions about how China might soon act toward other religious groups it views as problematic, such as Christians and Muslims in other areas of the country, Minzner added. A Breeding Ground for Radicalism? McDougall requested an opportunity to speak with Uighurs in Xinjiang during the six years she served as U.N. special rapporteur on minority issues. Chinese officials rejected these requests. When McDougall visited neighboring Kazakhstan, on China’s western border, to speak with Uighurs living there about their treatment by the Kazakh government, the Chinese government again declined her request to cross the border and interview residents inside Xinjiang about a government-declared emergency situation taking place at that time. “The sense in the Beijing government was that they had to make sure this [civil resistance to government repressive policies]doesn’t get out of hand,” McDougall recalled, noting that Chen Quanguo, the Han secretary placed in charge of Xinjiang, initiated even broader surveillance and detention policies. Minzner chronicled several policies targeting Uighurs in his 2018 book End of an Era. For instance, as part of the Orwellian “Project Beauty,” police in Xinjiang stopped veiled women at checkpoints and lectured them on proper, secular dress. Local authorities also barred bearded men from public transportation, have banned Uighur parents from giving their children “overly religious” names, and encouraged citizens to inform on those who “lure” their children into religion. “Far from helping create greater stability, China is creating a breeding ground for radicalism,” Minzner said, in reference to the mass detainment and wide-ranging surveillance of Uighurs. The global response to China’s antipathy toward human rights for Uighurs had been at turns ineffective and non-existent prior to McDougall’s revelation of the breathtaking scope of the Xinjiang crackdown. The U.N. has called for the release of all Uighurs held in so-called re-education camps, the United States has considered sanctions against China, and Germany and Sweden announced they have temporarily stopped repatriating Uighurs to China, in accordance with their international non-refoulement obligation to not deport people to a place where they would meet harm. China’s major security and economic partner Pakistan has also called for China to release 50 Uighur women married to Pakistani men who had been detained on vague terrorism charges. However, most majority-Muslim countries have to this point stayed silent on China’s detainment of Uighurs. Contrary to outside criticisms, the Organization of Islamic Cooperation, which includes 57 member states, has been “very active” on this issue at the U.N., McDougall said, but she noted that China uses its considerable power in bilateral and multilateral arenas to push back on civil and political rights issues. McDougall highlighted China’s recent attempts to block a vote on a U.N. resolution on the Rohingya genocide in Myanmar as one such example. This is particularly apparent in Africa, where Han Chinese can be found in numbers, according to McDougall. The Chinese are supplying money and manpower for roads in Rwanda, conducting oil exploration in southwest Ethiopia, and currying influence in South Africa, to name just a few of China’s “One Belt, One Road” projects. “There is a big discussion among African intellectuals about whether this is a new neo-colonial situation,” McDougall shared, explaining that speaking out against the Han Chinese can be very costly for nations in need of capital for infrastructure projects. Just one year ago, Minzner likened present-day China to the “Wild West of religion” in his book, noting that post-1978 China had seen an explosion of beliefs of all kinds due to a collapse of Communism as a belief system, relaxed state controls, and hundreds of millions of people searching for meaning in a world turned upside down by frenetic social change. The professor wrote that party authorities remained “deeply suspicious” of religion, but that control, rather than elimination, was the watchword for society at large. Whether that remains the case today is an open question. For starters, there is no effective legal framework to guarantee religious freedom. The Communist Party effectively decides which groups have rights and which do not. And party leadership has increasingly been tightening its controls over religions viewed as “foreign.” For instance, Minzner referenced the closure of the Zion Church in Beijing in September and widespread removal of crossesas examples of this trend. In the case of Catholic churches, the Vatican and Beijing recently reached an accord in which Pope Francis recognized the legitimacy of seven bishops appointed by the Chinese government—“a major compromise” for the Vatican, according to Minzner. For China’s estimated 25 million Muslims, the present moment is fraught, both inside and outside Xinjiang. While the officials in Beijing continue to mouth hoary slogans of religious equality, Minzner observed, local authorities in Xinjiang have launched a sweeping anti-halal campaign, and a dangerous undercurrent of Islamophobic discourse is gathering steam on Chinese social media. “If China keeps going in this direction you never know how bad it might get, or what we might see,” Minzner said. Or what we won’t see.